The question is are we, Everton Football Club, at that turning point? Are we at a point where we can finally throw off the shackles of the past, the lack of ambition, the cautious thinking, the poor decision making and execution? 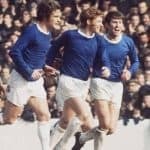 The long-awaited arrival of a new investor rather than dawning a business revolution at Goodison turned into a series of blunders and poor performance in every respect. Yes, we’ve seen significant investment by Moshiri, managerial changes and huge ins and outs on the playing side, but the commercial, communications and development revolution called for in the business have failed to materialise. On the pitch the absence of strategy through the managerial changes and poor player recruitment have been apparent, and even the most ardent Walsh fan would be hard pushed to present any case for the success of the Director of Football role to date. It’s difficult to believe that many of the signings made would recoup a significant proportion of the fees paid. When one considers Klaassen, Sigurdsson, Bolasie & Williams combined cost more than £110 million the scale of the poor spending is there for all to see. Performance on the pitch has cost us dear too. Every Premier League place is now worth £2 million, so the fall from 7th is going to cost the club. As is the absence of European football. Qualification for the Europa League would likely increase revenues by more than £10 million and depending upon how sponsorship contracts are written a likely total cost of £15 million by not qualifying and appearing in the Group stages. Commercially, aside from the USM Finch Farm deal, there’s little to shout about. Small deals with a derivative trading company and a tyre company are negligible in their impact, whilst the much vaunted Sportpesa deal looks very light in current market conditions. If the rumours of the true value of the Angry Birds deal are correct then again there’s plenty having been left on the table. Tied into long contracts that will not expire until May 2019 the shirt manufacturer and distributor deals are hopelessly inadequate. The delay in the opening of the stadium is expensive also. Not only is there the prospect of inflation, but arguably an additional year at Goodison will cost the club £25 million in lost revenues, before even looking at the potential loss of a year’s increased sponsorship and naming rights arising from Bramley-Moore. If we are to see a new Chief Executive Officer and perhaps see changes at board level, Director of Football and a new 1st team manager in the next few months then the recruitment policies to date need ripping up and re-written. For a new Chairman, it’s to construct a board capable of meeting the challenges of the “big 6”. It’s to present an identity of solidity, professionalism and a desire to advance. That person has to be capable of taking the Everton name and selling it globally to all stakeholders. Internally, it is to create a corporate culture of “can do”, to be forward thinking and progressive. For a new Director of Football, it’s to define the role, secure responsibility and accountability; plan the structures required to integrate all the age levels and senior squads into an “Everton” way of doing things; most importantly it’s to get player recruitment right. For a new manager, it’s to stamp an identity on the team; sort out those not required and fill the gaps where we are short; it’s to create a team that makes a big 7 viable; a team that gives everything and most importantly has the belief and confidence to go to the “big 6” and compete. The scale of the manager’s challenge is the clearest indication of the appalling running of the footballing club these last two or three years. As important as all the other roles are, to a large extent their success depends upon the success of the manager and his football team – it is the most vital appointment to be made. In his “end of the beginning” speech Churchill went on to say the Allies would in future, have better trained troops and better equipment than the enemy. If the likely changes of the next few weeks/months are to be Moshiri’s El Alamein then he too has to recruit better personnel with better plans to see us battle against our competitors. Having resourced the club, this is our turning point – we wished the early years of Moshiri’s reign had gone smoother. It is within his powers, and I’d suggest, his abilities to deliver at this time of change, so we too can move on to victories in the future. By virtue of the successes of other companies he runs, now at this turning point is the time to apply those principles to Everton.